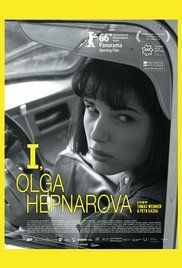 I, Olga Hepnarová (Czech: Já, Olga Hepnarová) is a 2016 internationally co-produced drama film, directed by Tomáš Weinreb and Petr Kazda, about Olga Hepnarová (1951–1975). She was a Czechoslovakian mass murderer, who on 10 July, 1973, killed eight people with a truck in Prague. Read more on Wikipedia.